Made a big batch of my "special" chicken and dumplins to take to church dinner today. There will be more food than I could list and all of it scrumptious. Good Old Southern Baptist food. Fell blah so no food today. Fine by me lol I need to lose weight. We had sausage and beans tonight. How comes wes hasnt told us any of the 500 things he ate today...or yesterday?! Pop tarts, an american favorite. McDonalds Breakfast Sausages! And a Coke! I had some chicken biscuits for breakfast they were blah. Lunch was some dry chicken tenders. I almost choked on them :/. Dinner was some cheap walmart chicken left over which I put over what was suppose to be for dinner, spaghetti. 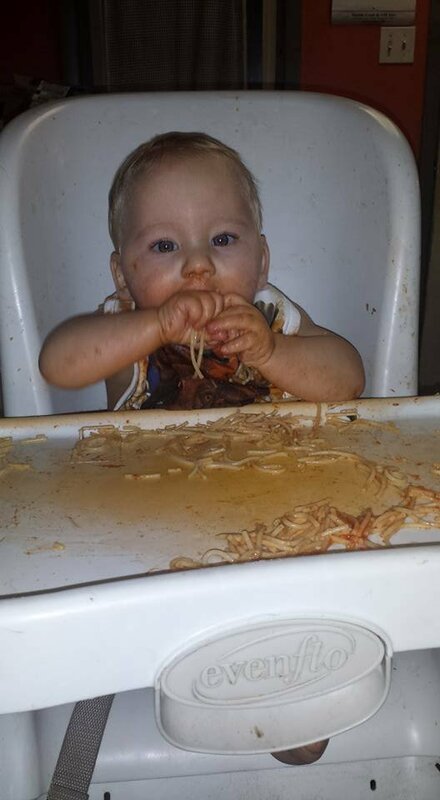 Not a huge spaghetti fan like my mom. Mc Donalds!!! 2 cheese burgers coke anda fries! Same, Wes! But McRibs are buy one get one free so gonna get that and some fries! majerah1, vreugy, big b and 1 others like this. 2 pastas, California pasta, artichoke and mushrooms in a white sauce, red sauce chicken pasta, bread and cookie!! Food coma here I come!! OMG, do you take everything outside and hose it down afterwards??? I am hoping a biscuit with sausage patties.